The garage is supposed to be a place to store stuff, work on projects or organize your projects. So why does your garage sometimes get so cluttered that you can't use it for anything? You need custom garage cabinets. 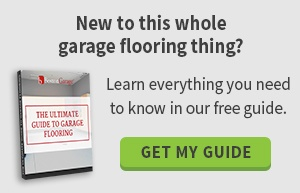 They provide several key benefits that transform your garage into a space you can use. Transform your garage from a cluttered mess to an organized space with custom garage cabinets. They're available in a variety of shapes and sizes to meet all your storage needs. Plus, you gain three benefits when you organize your garage space. Save Time: You may store tools, holiday décor or seasonal clothing in your garage. How much time do you waste looking for the screwdriver, holiday ornaments or the winter coat you want? When your garage is organized, everything has a place, and you save time when you want to find something. Spend Less Money: If you were to count your hammers, how many would you have? Stop buying more hammers because you can't find the ones you already own. Get organized so you know exactly how many hammers, light bulbs and gardening tools you own and where these items are located. Your pocketbook will thank you! Reduce Stress: Do you feel your blood pressure rising when you think about your disorganized and cluttered garage? Reduce stress when you organize the space. Everything has an assigned spot, making it easy to find what you need in a hurry. Your tidy garage will now be a place of joy instead of stress. When you walk into your garage, you should be able to find exactly what you need in a few seconds or less. If your garage is stuffed with boxes and random items on the floor and every available surface, it's time to reclaim your space. Place tools in a cabinet near the workbench. Stash winter gloves in a cabinet by the front door. Stock auto repair supplies in one of the wall cabinets. You won't have to search for what you need since all your stuff is accessible. Even your kids will be able to find what they want with ease. Sometimes, you may simply pile boxes, tools and other items in the garage wherever there is free space. Then one day you look at your garage and realize it's a cluttered mess or the pile of boxes falls on you as you try to find your favorite holiday wreath. Now is the time to reduce clutter and create a neat and tidy garage. With cabinets, you can put everything in its place and store similar items together. You no longer have cleaning supplies stored on top of swimming gear. You can easily find what you need and navigate your garage. Garages are the perfect place to store everything from cleaning supplies to toxic paint. However, these items and others you may store in your garage could be safety hazards. What happens if your kids or pets accidentally swallow antifreeze or lick an old paint can? They could get deathly ill.
Reduce the danger of accidental ingestion of poison, chemicals and other dangerous materials when you store these items in a cabinet that's up high and out of reach or locked. The cabinets protect your kids and pets from getting into something that's dangerous to them. Cabinets also successfully keep any combustible or flammable materials safe. You can store them away from matches or any tools that produce a flame, and they won't catch on fire. Protect yourself from slips and falls, too, with your custom cabinets. If a container starts leaking, the mess will stay at least partially contained in the cabinet instead of creating a slippery mess all over the floor. You also decrease the chances of boxes toppling over on you when you install cabinets. And you won't step on something like a rake or barbell when it's contained. Instead, your possessions are neatly stacked and stored in a cabinet that keeps them organized and out of the way so that you can safely navigate your garage. A garage is an attractive feature to potential homebuyers. They may envision using the space for parking, projects or gaming. You won't show off your garage's best features, though, if it's a mess. Take time to install cabinets. They conceal clutter and make the space appear larger and more inviting. Interested buyers will be able to see the room's potential instead of your mess. They also will appreciate the extra storage that upgrades the garage into a neater, cleaner and safer space for them and their family. A garage can be used for multiple purposes. Whether you want to make furniture, fix your car or garden in the backyard, your garage can meet your needs when you install cabinets. 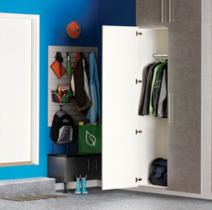 Available in numerous shapes and sizes, cabinets can accommodate anything you own. Install tall cabinets for skis, small drawers for nuts and bolts or multiple shelves for all your home repair project supplies. You can even customize where you place the cabinets. Attach several in a row on a back wall, fit a few on top of a workbench or hang them overhead. Your options are almost limitless as you select the cabinets that best meet your garage storage and organizational needs. What is your vision for your garage? 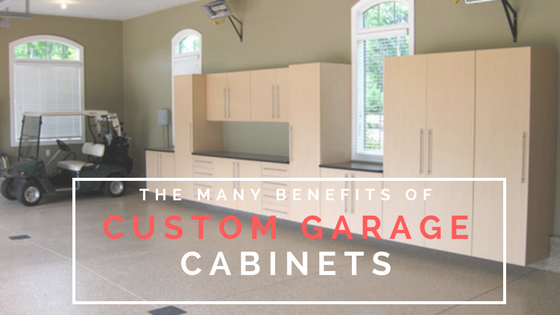 Custom garage cabinets provide numerous benefits that help you meet your needs. Contact us today to learn more about installing custom garage cabinets before winter hits.